BPSC 64th Combined Preliminary Exam Notification 2018 - Apply Online for 1465 Police Deputy, Supdt of Police, Planning Officer & Other Posts in Bihar. Online Applications are invited by Bihar Public Service Commission from 03 Aug 2018 to 20 Aug 2018 (Extended till 30 Aug 2018) for 1465 vacancies. BPSC 64th Pre Final Answer Key 2019: Bihar Public Service Commission has issued the Answer Key on 24 Feb 2019 for the exam. Answer Key can be accessed from the link given below. 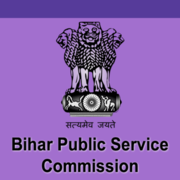 BPSC 64th Pre Result 2019: Bihar Public Service Commission has announced the Result on 24 Feb 2019 for the exam . Graduate OR equivalent form recognized university. Candidates log on to http://onlinebpsc.bihar.gov.in/.